It is safe to say that Mrs. Crowe devoted her life to bowling. She has displayed tireless enthusiasm and concentration toward resolving problems and creating programs for the betterment of the bowling industry. She has unselfishly devoted her time and effort to her organization and the entire bowling industry. She served as WIBC president for 21 years during which WIBC enjoyed a massive growth from barely 1.5 million members in 1960 to more than 4.2 million. 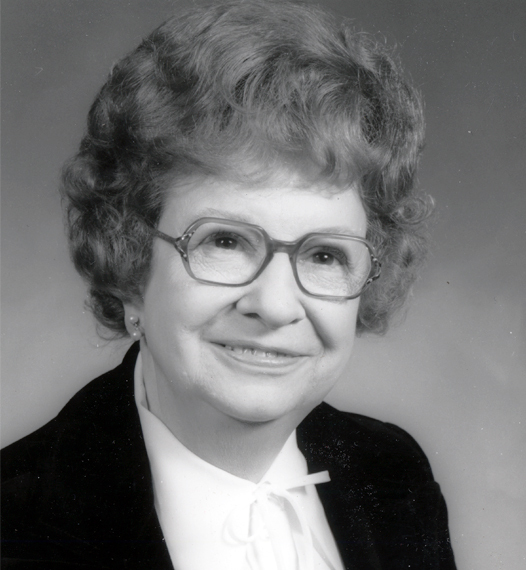 Mrs. Crowe was first elected to the WIBC Board of Directors in 1939 and was appointed WIBC public-relations director. Moving up through the ranks of the board, she was second vice president when she was elected president in 1960. In addition to 42 years of service to WIBC, Mrs. Crowe was elected to an unprecedented fifth term as president of the National Bowling Council, served as national chairman and treasurer of the Bowlers Victory Legion (BVL Fund) and also was a director and member of the executive committee of the National Bowling Hall of Fame and Museum. She was chairman of the NBHF/M board from 1976 to 1978.